Newport Cricket Club has one of the best Junior Sections in the whole of the UK. 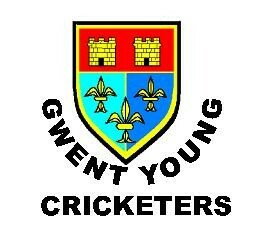 We run Junior Teams for Boys and Girls, in the Monmouthshire Building Society Junior Leagues at all Age Groups. In 2012 Newport won the 'League and Cup Double' at U11, U13 and U15 age groups. It is the first time ever that one club has won all the major trophies. In 2013 Newport won the 'League and Cup Double' at U13 and U15 age groups. In 2014 the club repeated the amazing feat of 2012 winning the 'League and Cup Double' at U11, U13 and U15 age groups. In 2015 Newport won the 'League and Cup Double' at U11 and U13 age groups with the U15 team winning the Gwent Cup. In 2016 Newport won the Welsh Cup 'Double' at the SWALEC at U13 and U15 age groups. In 2017 the U11 Team won the League and cup 'Double and the U13 team won the Gwent U13 League along with the U13 Welsh Cup. Winter Coaching is held every Friday evening throughout the winter, at the Cricket Hall, which is based in the Indoor Tennis Centre at the Newport International Sports Village (NISV). which is based in the Indoor Tennis Centre at Newport International Sports Village (NISV). Imran Hassan), will be conducting these sessions. Summer Coaching Sessions will commence at the Cricket Ground on Tuesday, April 24th and will continue every Tuesday, throughout School Term time. Coaching Sessions are obviously dependent on the weather. with coaches conducting separate coaching sessions for each age group. (between 5.00 - 8.30pm) and weekly bookings, or blocks of bookings can be made to suit.